What a winter. Wet, cold and the essence of all that creates cabin fever. The weather is still a bit chilly, but it’s time to go outdoors for a change. 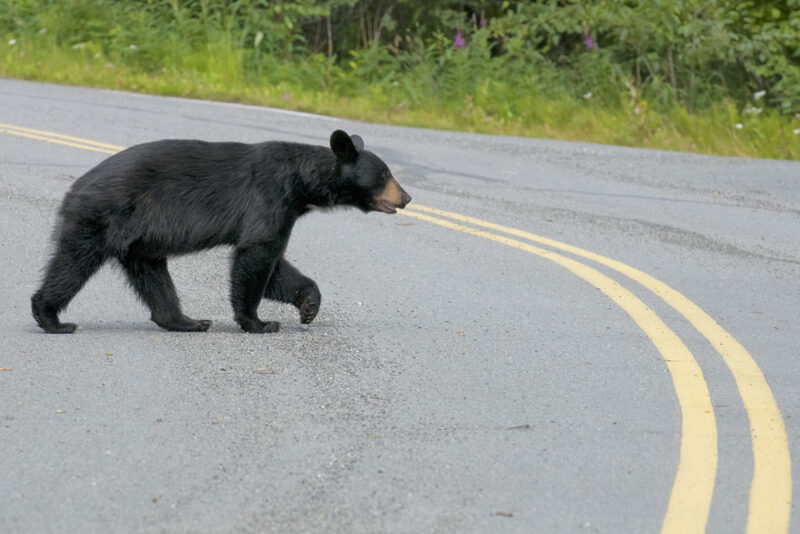 Before you hit the trails near or far, please read these bear facts about bears. Bears used to live in the woods. Now, you can find them everywhere except Wally World, it seems. Don’t believe it? Just leave some stinky trash behind your house and let it sit until bears show up. It wasn’t too long ago that a young bear was sighted in downtown Gainesville at Brenau University. The Georgia Department of Natural Resources’ Wildlife Resources Division says black bear sightings are normal and to be expected. Hahaha! The GA DNR WRD sure has a great sense of humor! It’s like sleep mode for bears, when normal processes (such as eating and drinking) pause during winter’s cold temperatures. They survive by burning fat reserves. “Not surprisingly, when bears emerge from their dens, they are hungry and ready to find food, which can sometimes put them in close proximity to people,” says Adam Hammond, state bear biologist with the Wildlife Resources Division. Feeding bears trains them to approach homes and people for more food. Bears will defend themselves if a person gets too close, so don’t risk your safety and theirs! Food and food odors attract bears, so don’t reward them with easily available food or garbage. Birdseed and other grains have a high calorie content making them very attractive to bears. The best way to avoid conflicts with bears is to remove feeders. Feed outdoor pets portions that will be completely eaten during each meal. Then, remove leftover food and the food bowl. Securely store these foods so nothing is available to bears. Sorry, asking your mother-in-law to hold them isn’t secure enough. After you use an outdoor grill, clean it thoroughly and make sure that all grease and fat is removed. Store cleaned grills and smokers in a secure area that keeps bears out. Screaming “BEARS!! !” at the top of your lungs isn’t enough notice for your neighbors. Share news with your friends and neighbors about recent bear activity and how to avoid bear conflicts. Bears have adapted to living near people; are you willing to adapt to living near bears? “People should be proactive around their homes or businesses to ensure there is nothing that will attract bears and serve as a ‘free lunch,’” says Hammond. For the bear facts about bears, visit www.bearwise.org.